The Radical Virgo: Chiron Quiz: How Strong is Your Chiron? Donna Cunningham has been encouraging me to create a Chiron quiz to complement her other planetary quizzes that have been so popular on her blog, Sky Writer. Although she has quizzes on most planets including the Moon and Mercury, I’m focusing in this article on how Chiron fits into her quizzes on the outer planets. As the bridge between Saturn and Uranus, Chiron fits smack dab in the middle of the mix. We need this Chiron quiz! How Strong is Your Saturn? How Strong is Your Uranus? How Strong is Your Neptune? I’ve designed the Chiron quiz to parallel Donna’s structure on the other quizzes as much as possible, so you’re using a similar system to compare your Chiron score to the other outer planets. Particularly if you’re what Donna and I both call an OPP (an Outer-Planetary Person) or what I call a PUNC (Plutonian, Uranian, Neptunian and Chironic—all the outers emphasized), you’ll navigate your personal overload of evolutionary change planets better if you have some idea which one is your leading planet, so you can salute him and follow his direction. When it comes to the outer planets, the quiz on which you score the highest is the engine in the string of influences that nag you to morph at light speed. Not to mention, while we're talking about Little Engines That Could, Outerplanetary People are desperately needed in the current, intense change cycle involving the outer planets in chronic tension. You know who you are and that you've received your intuitive draft notice! Remember, if you think change is challenging for you, imagine how difficult it is for people who aren't having a dialogue with these Gods of Change every second of their lives. We are the way showers. And now for the one who helps keep the outer planets more on track and easier to navigate in his role as a go-between, Chiron. What’s Your CQ (Chiron Quotient)? As Donna always points out in her quizzes, it’s impossible to consider every single influence when creating a planetary “weighting” system, especially without complicating it so much, it’s no fun. You may find you feel more Chironic than your ultimate score would indicate. That’s when you have to consider more subtle nuances. For example, the Moon is my most elevated planet, it’s out of bounds,  and closely square Neptune. I have a very “sensitive” and overemphasized Moon, to which Chiron has a nearly exact sextile. Chiron acts as a safety valve to the high pressure of my lunar overload; thus, I have become that sweet centaur’s devotee in undying gratitude for the relief! These particulars jack up my Chiron Quotient, as any close aspect between Chiron and a planet with similar prominence might intensify its strength. Don’t take these quizzes as the Ten Commandments, etched in stone. They’re guidelines to weigh emphasis. Adjust according to personal experience. I use orbs of up 8° for major aspects (conjunction, opposition, square or trine). For minor aspects, I use 3° for quintile, semisquare, and sesquiquadrate. I go up to 4° on a quincunx and 6° for the sextile. (The last two are a little generous compared to some astrologers.) As Donna also does in her quizzes, I consider 10° for conjunctions to the Midheaven and ASC based on the research by Michel Gauquelin. Suggestion: Be radical and don’t even resemble a traditional Virgo nitpicker when it comes to orbs. If you feel it at 9°, count it. If you say “huh?” and don’t relate to the aspect whatsoever in a degree of arc you're "supposed to," then a smaller orb is the one for you. Our sensitivity to the planets is personal and varies somewhat. The whole idea here is to make you more aware of your comparative planetary sensitivities. It would be "off" to deny your actual intuition as you examine the issue. If you do major comparisons with others, you'll need to agree on an orbital definition, but for your own purposes, do what feels right consistently across your outerplanetary quizzes. Now, hang onto your horse half. Here goes! __ You have Sun, Moon, Ascendant or Midheaven in Virgo (5 points each). Note: This comes from my theory about The Chiron Sector, the part of the zodiac from Virgo through Sagittarius that I associate with Chiron. Virgo is the pivotal sign between the planets that deal with “I” and the planets that deal with “Us and Them or Others.” Its bridging nature, just as Chiron bridges us from the inner to the outer planets in its orbital position, makes Virgo the most Chironic sign in my mind. Virgo is the last “I” sign, but it starts the transition to Libra/Other by focusing on service. Total your points. A score of 0-14 is a relatively low Chiron Quotient (CQ). A score of 15-25 is moderate CQ. If your points total more than 25, you’ve got a high CQ and should really start looking for a farrier—one of those folks that puts shoes on horses, because you’re a centaur through and through! That’s what’s so cool about the Internet. The High CQ Club can come to your mountain through The Radical Virgo and other Chiron-friendly sites, and you can read them between sessions—healing, teaching, mentoring—those things we Chironics do, sometimes over-do. There’s a good discussion of Moon out-of-bounds (OOB) and OOB planets in general on the post, Moonwalk: Cancer. Photo Credit: Posing strong female © Smagal Dreamstime.com enhanced by Joyce. Radical Reminders: Personal consultations are still 25% off through Labor Day, September 6. See sidebar. Don't miss another New Moongram! Sign up at the top of the sidebar to receive extra information, including a mini-meditation for each New Moon, and special discounts on new publications. Comments Are Now Closed for This Post. Thanks to everyone who participated—some 50 people!—in this lively discussion. Take the follow-quiz on your Chiron Resonance! 47 When do I grow hooves? Hi Joyce, loved this quiz, been following Donna's other ones with glee, seem to rate high on all the outers! I scored 28 on this and Chiron really resonates with me. It sits on my ascendant but in the 12th, square my wounded little moon that also has it square pluto/uranus. Wanted to be a surgeon from a very young age & became an expert at 12 on thoroughbred HORSE breeding (not changing horse shoes, ha!). You're living the myth all right. I love meeting other Chiron lovers. Thanks for sharing your feedback. With high scores on all the outers, you're definitely what I call a PUNC. I'm a Plutonian, Uranian, Neptunian Chironic myself. Hi Joyce – I came up with a score of 52, which seemed high so I counted twice. My Sun/Chiron trine is just under 9 degrees, but I counted it since my Sun/Chiron/North Node are also parallel. I’m definitely the ‘Chironic’ type – always trying to heal, fix or reform something! And I seem to have a gift for identifying problems others miss, then finding solutions outside of the mainstream. Traditional resources generally don’t work for me, so I’ve learned to rely on a combination of intuition, research and alternative (and proactive) methods. What a great idea this was. I’ve always enjoyed Donna’s quizzes and enjoyed this one as well. Thanks! I'm not surprised, LB! So far, you're the hooves-down winner for the highest Chiron score and definitely have the centaur school spirit. Here's to our continued pep rally at Mt. Pelion Prep. Glad you enjoyed the "exam." I scored 35...and thanks to this quiz I know realize that my Chiron is semi-square to my Sun in Pisces and sesquiquadrate to my Virgo Moon/AC conjunction...that explains it. Hi, Chris--Thanks for commenting, and let me know what you discover as you keep getting to know your Chiron better. Glad to know the quiz helped. There are lots of Chiron articles on The Radical Virgo. We'll have to have coffee sometime and talk about Chiron! Hi, Joyce, I'm so delighted that you've done this quiz. You're the maven on Chiron, so who better! I know my readers will want to take it, so will add a link to this on the list of planetary tests. Score of 42. 44 if I count the very tight Quintile to the MC. Hi, Ms. Full Roller! I'd definitely count the quintile. Do you have a Chironic occupation? As I was quipping on Facebook with several friends who commented there, we've got enough "hoofers" among the readers to start a dance troupe--or at least a stampede! Welcome to the high CQ Club, and thanks for commenting and sharing your score. Hi Joyce, I scored 27, so half a hoof! But I also have a t-square involving Uranus, Saturn and Chiron. I have no idea what it means except that they are intimately tangled! I had to count this three times, and a fourth time with a calculator. I have 73 points. Chiron is conj jup, so everything jup touches, chiron touches too. Jup is probably a bit stronger as the conj is in Pisces opposing a stellium in the 9th. The conj is also a focal in a kite-formation. So definitly a PUNC, and a radical Virgo (The stellium is uranus, sun, pluto, moon ...). I'll have to read up on chiron, I'm not at all familiar with it, and I guess it will be coloured by that jup conj. So will study! And I'm not a horseperson! I keep falling of horses ... But I do love centaurs! Thank you for great site and a great test! 66~and also have an out-of-bounds Moon on ASC that is emphasized by contacts to Pl,Ur,Jup,Mars. Wow ... at 52, a higher score than I realized. Using your orbs, which feel right, my 6th house Chiron trines my Sun, opposes a Jupiter-Uranus conjunction, and squares my Neptune-Mercury conjunction. With a Libra stellium, Virgo Moon and 2 planets n Scorpio, well ... I'm PUNC'd! Hi, Rose - How interesting! A T-square involving Saturn, Uranus and Chiron! Which planet is focal? I'd add extra if that T-square points to Chiron. Chiron's role as go-between Saturn and Uranus may be more pronounced for you. When the opposite energies of Saturn (tradition, the establishment, how we've always done things) and Uranus (revolution, breakthrough, rebellion) clash, Chiron can help you come to an inner balance between the two that's more holistic. One of Chiron's key word phrases that could be helpful for you is to seek solutions that aren't "either/or" but "both/and." This aspect configuration can teach you about elegant solution instead of extremes. "Whoa, Nellie," Natalie, as they say when trying to slow down a wild horse. That 73 is off the charts. You're a pack of wild centaurs all on your own. You could have great facility with Chiron's skill of helping his students find and hone their best talents, their gift to give back to society. Of course, as you point out, you might also have to tune up your tact in the delivery of this "service." :) A slight shift from focusing on their motivations to how their unique skills and abilities can serve themselves and others could make all the difference. There are many Chiron articles on this site. 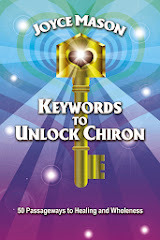 Enter Chiron in the Search box. 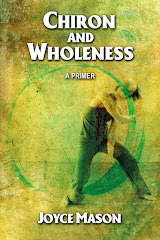 Another good start is my Chiron primer, "Chiron and Wholeness," for sale in the sidebar. Thanks for your meaty comment and big score share. Thanks for your comments, Kachina and Mary Pat. Kachina, we'll have to talk about living with an out-of-bounds Moon sometime. It has been both a blessing and a curse, as the saying goes, in my case. Still, I wouldn't give up being so "loony" for the world, challenges and all. Mary Pat, Chiron was the original Renaissance man before the historical Renaissance! It is so Chironic to be eclectic, especially when it comes to blending holistic healing modes. My own medicine bag is similar: astrology, dreamwork, tarot, and flower essences. It sure feels like that T-Square is your defining aspect configuration, Rose. 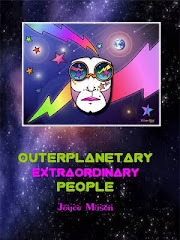 I'm planning to update and post enhanced versions of my original Outerplanetary People series on The Radical Virgo soon. Given the responses to this quiz, I think we're ready to start a PUNC rock band! It can provide the music for the "hoofers." Enjoyed this quiz scored 50. Would like to read more about Chiron in the houses. I have Chiron conjunct Jupiter in the 8th. Jupiter Chiron is the apex to my cardinal t sq. I have worked with healing, teaching and couseling. Thanks for commenting, Adrienne! Your Chiron sure shows in your choices of work. 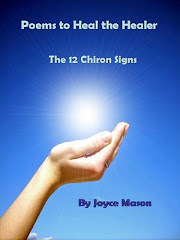 :) Chiron in the signs and houses is covered in "Chiron and Wholeness: A Primer," available in the sidebar. There are lots of articles about Chiron on The Radical Virgo. You can pull them up using the search window, also on the sidebar. Meanwhile, 50 is a great score! 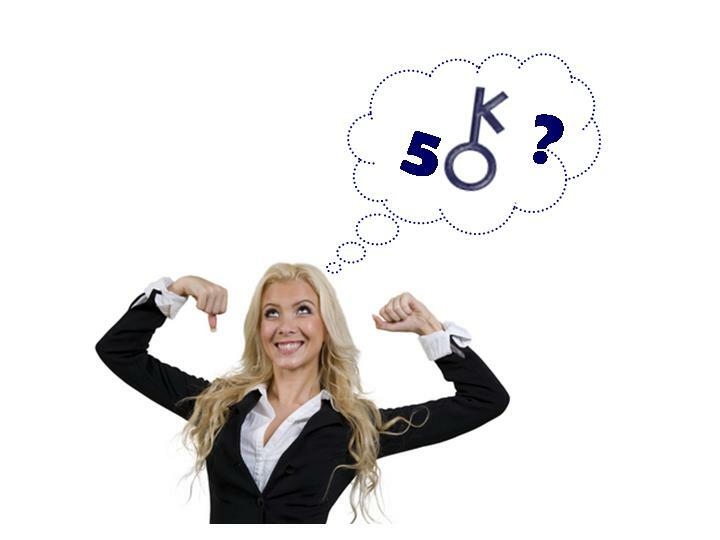 There's a reason the woman in the illustration on this article is imagining 50, besides doing a Vulcan mind-meld on your personal quiz results. Fifty is the approximate years in a Chiron cycle. You scored "the" Chironic number! I got a 44, mostly from a square to my sun/moon conjunct, and also opposite pluto. But I'm still not sure I believe in Chiron's astrological influence. I have enough trouble with the traditional planets. Hi, Charles--I totally relate to your planetary overwhelm, which is why I don't use more additional asteroids or other points besides Chiron on a regular basis at this time. What I've found is that Chiron is the key for integrating the other planets and for integrating ourselves--bringing wholeness. This made it worth my while and gave me understanding I never had before. Everyone has their path, but this one has been the key for me. That's what Chiron's glyph symbolizes, a skelton key that opens all doors. Kachina, let's do that in September after Mercury's direct. I bet that will be one interesting conversation! My email address is in the RV sidebar. Hi Joyce, and thank you so very much for this quiz! I scored a 51, Aries Chiron retrograde (does that make much difference?) in the first house conjunct Aries Moon, and opposed both Sun and Uranus in Libra in the 7th, with lots of support from 3 planets in Virgo and 3 in Scorpio. I have never been a horseperson, despite being surrounded by horsepeople my whole life. And I'm no healer, despite being surrounded by them my whole life! I'm always just off to the side, observing people and what makes them tick. People make sense to me, but as another poster noted, that's not always appreciated. Like her, I've learned to keep mum so I don't hurt anyone. Hi Joyce, I too seem to rate high on all the outers. For Chiron, I scored a really high 71. I knew I resonated with all I've been learning about Chiron for the last 2 years....and have been studying astrology for about 7 years-and love it. I have Chiron conjunc the midheaven at 0 degrees..in Virgo, with Virgo Sun and Venus in Virgo they're in the 10th also. Lots of other aspects are there including opposing Moon. Several of the planets aspecting Chiron are involved with my T-Square (including Moon, Mars, and Uranus) Also I have 3 planets in the 9th house. I'll be checking out all your information on Chiron...and hope to be learning more. I do have a soft spot for any human -or animal-in almost any kind of pain... In my 60 plus years, that hasn't changed. Hi, 42 score here which I wouldn't necessarily have guessed- I was helped out by 8 planets in the "Chiron sector" as well as 8 minor aspects. Thanks for the quiz! Welcome, MM! I think you've described in your comment the difference Chiron retrograde makes. Rather than being the healer, mentor, or horse person, you are surrounded by Chironic people, critters, and things. There are aspects to certain planets and some Chiron signs that make developing the tact needed to mentor others tricky. Aries isn't one to "hold her horses." Your Chiron in Aries holds back "against sign," if you will, "retrograding you." Pulling you back. Just as people born under Mercury Rx can be very good at the inner life and internal communication, you might experiment with how your Chiron Retro helps you heal and bring out the best in yourself. How interesting to get this issue twice in the comments of the importance of the style of Chironic sharing. Perhaps as you learn to be gentle with yourself in your own inner growth, it will transfer to being able to do that with others, if that ultimately feels right to you. I wouldn't mind having Chiron as my own best, inner friend! Marion, welcome to the High Chi-Q Club! You have the second highest score so far at 71. (Natalie had 73. )With Chiron on your MC and the rest of the configuration you describe in your chart, I can't wait to hear what happens as you get even more into Chiron and how the mythical and astrological symbolism enhances your already highly Chironic tendencies. Dizzy, you're so welcome! Part of the motivation behind the quiz is to help people discover their Chiron in more depth. It's great to see that happening across the comments. I like astrology (it also seems to be related to quiron). Other than that... can't really tell you much. Hi, Dunyazade. Welcome to the Chiron Club and thanks for sharing your scoring! hi joyce! i jumped over from donna's site. chiron has intrigued more and more over the years as i've grown to recognize it's significance in my own chart. like adrienne and an anonymous poster, i have chiron & jupiter conjunct in the 8th in aries. i already knew jupiter is a major player in my chart. now i see the influence of chiron in conjunction as i grew interested in astrology back when i was 13 or 14 years old, browsing the "occult" section of the bookstore - tarot, numerology, ESP, astrology, runes - i tried all of these things from a young age. i've always had an awareness or intuition on how others are feeling, and yet have been out of touch with my own feelings (aquarius moon, sun & ascendant in virgo?). in recent years, i have been working on getting more in touch with my own feelings, attend therapy, trying to integrate my creative self from childhood back into my life as an adult, and seek out alternative health practices. i also think my chiron in 8th house with jupiter makes me feel more at peace about death, and have experienced watching two close family members die - was honored to be present, in fact. 58. This score does not surprise me at all, considering that Chiron is opposite my 1st house Scorpio stellium (Moon, Mercury, Venus, and Uranus), the only planet of mine in the western half of my chart, and the most heavily aspected point in my chart. If one then considers that all the planets of my chart (excepting Mars and Chiron) are located in Virgo-Sagittarius...well you get the picture. My NN is, of course, Virgo. I have to thank you for this quiz because now I know who is the engine in my PUNC train: Chiron, then Pluto, Uranus, and Neptune as the caboose. My profession: Elementary Special Education Paraprofessional. I, too, feel death is an honor to share with another. My Chiron in Scorpio sextile Moon keeps me in touch daily with the temporary nature of life, which also helps me to live it with utter zest. Thanks for sharing. Come back often! Plutonian Persona, I am so happy that train image spoke to you. You couldn't have chosen a better profession. My first work was as social worker for children with developmental disabilities, primarily helping their families find resources for their needs and hope for their future. My Chiron in the 1st husband has also done work with this same population. Your explanations of Chiron in regards to the "Radical Virgo" archetype have definitely helped me in my quest to truly understand my Virgo NN in the 11th house. The quincunx feeling of this placement has thrown me for a bit of a loop and I've been studying astrology for 12 years. _5_ You have Sun, Moon, Ascendant or Midheaven in Virgo (5 points each). What if Chiron is Retrograde? I love horses. I was raised on around horses. Does chiron really influence whether or not you like horses? Hi, joyrjw--Thanks for sharing your quiz results. The planets reflect our internal wiring, and often a Chironic person likes horses for the obvious affinity that Chiron was half-horse. (I sort of half like horses myself, LOL!) It's not a hard and fast rule, but more of a tendency. I talked about Chiron retrograde a couple of comments before yours, if you want to take a look. Welcome, and I hope you learn a lot about Chiron on The Radical Virgo. Lots of Chiron material you can look up in the search box. Hi Joyce! Thanks for creating quiz! I scored a 49. I did what you said about using a 9 degree orb if felt it was appropriate, and I did for a few aspects. I have Chiron conjunct my sun in Taurus, and definitely have defined my self as a Chironic type for about 10 years, since I got into the healing, coaching field. I also blend many holistic methods together, as some of you have said. I don't really connect so much with horses though I think at a distance that they are beautiful, majestic creatures. The mythical Centaurs have always been more identifiable to me, actually then real horses. I counted my North node in Virgo, as well, which is conjunct my Saturn in Virgo. I have 4 other planets in the Chiron Sector, which gave me some significant bonus points. Curious, you put beautifully into words my own feeling about horses--gorgeous from afar, enjoy their majestic beauty, but it's the mythical centaur that reverberates a core connection. The charter members of the High Chi-Q Club have so many things in common!It's great to have you. I scored 84 on this test, This was to expect because I have Chiron in aspect to all planets and points except for Mercury. He is part off a Grand Cross and is the apex off a Yod in my natal. He's very prominent in my chart. I love these kind off tests, I have done all of Donnas!! I understand astrology most by the way planets 'feel'. I've really struggled with Chiron because I just don't have any sense of it. But it has just occurred to me that Chiron doesn't have its own energy; it's simply a channel for the other planet's energy....perhaps a little bit like the Sun which isn't an influence in itself, but shines out the whole of the chart. Instead Chiron creates a very intimate, direct link. Joyce, does that make sense to you? Hello Joyce! What a great test! Please help this learner: the Chiron Sector - is that houses 6-9 or signs Virgo through Sagittarius? It'll make a difference in my score. What are your thoughts about NN in Virgo? My Virgo NN is 1o conj Virgo Pluto. That would make for a little adjustment. I'm scoring a 32 right now if I consider the Chiron Sector as signs Virgo-Sagittarius. I've got 5 planets (as well as NN) in those signs including my Sag Sun. If the Chiron Sector is Houses 6-9 I'll have 6 planets. My Aquarius Chiron is in my 10th House Cap cusp trine Scorpio Moon 6th House so I "feel" Chiron. My Chiron is opp Uranus (not aspected to Saturn) so the way I've read up about that, I should be some sort of spiritual teacher. I'm the one with the 73 score... Just wanted to say I trotted around reading your articles. Very good stuff! My natal chiron is retrograde (As is Jup), and I did forget to mention I have a scorpio asc and MC in Virgo that I didn't count. I think it just got too much. Very interesting comments about the retrograde. With Chiron at 7' Pisces I will have a Chiron return soon. How does transiting Chiron affect other planets? Hi, Rose--I'm going to have to ruminate on that idea for awhile. I don't resonate to it immediately, but that doesn't mean it isn't so. Let me "sit with it." I have always viewed it this way. Barbara Hand Clow talks in her Chiron book about the parallels between astrology and tarot. In doing so, she says Chiron doesn't relate to any card in particular but to the reader of the tarot cards. 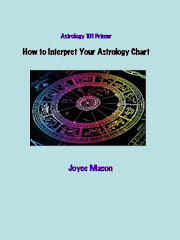 Using that analogy, Chiron is the interpreter of the diverse and complex parts of a chart, why he is connected with whole-making. In the same way, the Chironic energy helps us weave together the diverse messages in our natal charts to find our most rounded, self-expressed essence. This leads to fulfillment. Along those same lines, I see Chiron as a weaver--a weaver of wholeness. In the same way a surgeon does (one of Chiron's many talents besides being the 1st astrologer), Chiron stitches together the various parts of ourselves to make a tapestry of a whole and actualized human being. His dual nature represented by his human and horse halves is all about bringing spirit into incarnation in the body. That's one of the "overleaf" weavings, if you will, and one of the most important things that needs to be woven together to have wholeness (body and spirit). All these wonderful comments have helped me see I'll be doing a second quiz to help you find the parts of the Chiron myth and other sources of Chiron's symbolism to which you each resonate. While this current test is a parallel to an IQ test based on the natal astrology chart, the next quiz will be more like an Emotional Intelligence test, based on the ideas of Daniel Golman in his book of the same name. When you're done, I think you'll each be clearer on how Chiron works through you. One of the reasons I wanted all of you to share your results and experience with the test is to refine it. One refinement: I'd treat the North Node as a planetary body when adding up points for planets in The Chiron Sector from Virgo to Sag (signs Virgo, Libra, Scorpio, and Sag). Your question on the Chiron Sector allows me to make an important clarification. This theory came to me, almost like a divine revelation, as a response to the controversy about Chiron sign rulership. When illustrating The Chiron Sector, I use the "natural" or 0 Aries "theoretical" chart where signs and houses are in their natural or theoretical place (Virgo/6th, Libra/7th and so on). However, the Chiron Sector theory really addresses what sign Chiron is associated with. The simple answer is signs, not houses--but it helps to explain why. Various Chiron researchers saw elements of Virgo (service/hands-on healing), Libra (where Chiron is at its perihelion or orbital pass closest to the Sun and his work to create balanced individuals), Scorpio (surgeon and connection to the birth/death process), and Sag (teacher and mentor). The Chiron Sector theory explains why like his composite physical nature, Chiron is associated with a composite of astrological energies by sign. The Chiron Sector signs span the transition from Self (Aries to Virgo, Virgo starting to transition to Other through service) and Others. In Libra and Scorpio, it's one other. From Sag onward, the signs relate to many others. Chiron by nature is a "tweener." The centaur planet orbits between Saturn and Uranus like an ambassador between its energies (new/old, stasis/change). He's transitional. Similarly, he is in that role as ambassador weaving the Us to Other transition in the signs. For those reading these comments, you'll find all the details on The Chiron Sector in Wholeness and the Inner Marriage. Hi, Natalie--Welcome back, and I'm so glad you're finding the Chiron articles helpful. The issue of how Chiron transits work is a bit long to get into in the comments, but I can certainly put that in the queue of another article to work on! The "feel" of it can be very similar to a Pluto transit, I'm afraid, because of how it brings up issues of your original wounding. But as you work with the Chironic energy, each transit can become more about overcoming the impact of that pain and weaving wholeness. All of you have been fantastic in this exchange! I appreciate the high level of sharing going on. Ok, I'm up to 35. I'm gonna check out the link in a little bit. Hi Joyce, No I don't have a Chironic occupation unless being married counts. lol My Pisces Chiron is in the 7th in tight conjunction with Mercury & Saturn. I'm not sure I understand Chiron but I guess or more like hope at some point after this mid-life crisis it will be revealed to me. Ms. Full Roller, I love the fact that your Chi-Q score echoes your age! I think marriage actually might be the most Chironic occupation of all. If Chiron helps us blend energies that are very different (like Saturn and Uranus which it orbits between), how handy does that come in when blending two people's resonance into a beat you both can live with? With your Chiron placement, relationships are an important healing medium. From all I can figure out from the Chiron myth, Chiron was happily married to the nymph or minor nature goddess, Chariclo. Check out some of the Chiron articles on The Radical Virgo ... and stay tuned for my next quiz. Hopefully, it will make Chiron clearer to those who are having difficulty grasping some of his energies and possibilities. I got 83 but I think I did it wrong. I have Chiron right on top of my MC and a 6th house sun, Virgo moon and rising. I generally have squares and oppositions coming out the yin-yang so it's nice to come out on top for once! Hi, Charlotte--Whether or not your score is actually 83, I think it's safe to say you're highly Chironic! That's the main purpose of the quiz, to show yourself where Chiron's emphasis fits into your life, and I think you can safely say it's major. With Chiron on your MC and a 6th house Sun, I think Chironic career choices would be a natural--healing, mentoring, and any sort of "alternative" counseling modalities, including astrology. Thank you so much for commenting and sharing your chart features with us. I scored a 52, which surprised me. I'm still learning, and I've gotten distracted by trying to figure out Neptune - I had no idea my Chiron was so strong. Of course, since it conjuncts my Ascendant (in the 1st), I guess I should have known. It also trines my MidHeaven, and this is the part that makes the most sense to me: I'm a teacher, high school English. I also have always felt the need to "fix" people, but that's more mental than physical. I scored a 73, no surprise there. Chiron square Neptune, sextile Moon, opposite Sun, Merc, Venus, Mars, Jupiter. Healer, bridge, mentor, teacher. I did not aspire to any of these roles, they just happened to me. Thank you for this quiz and links to Chironic articles. I have been studying the Chironic in my natal chart for a couple of years now, gained some understanding, looking for more. I have managed to heal some of my Chironic wounds, would like to experience more. Thank you so much! Hi, Nicalyse! Thanks for stopping by and sharing your high score. The quiz has helped introduce a lot of people to their Chiron or to help them get to know it better. That fix-it thing is very Chironic indeed. In fact, a downside can be unconsciously creating things to fix! :) It sounds like you chose an excellent occupation. The Chironic way of mentoring and teaching, of course, is to bring out the best in the student--to show him or her how to best use his/her natural talents. What's not to like about a job like that? BTW, reading between the lines of the Chiron myth, his students were highly likely to be teenagers. I think Chiron has a special resonance with that age group. Hi, Prairie Rose--Welcome to the High Chi-Q Club! Something in your comment stands out to me, the idea that you did not aspire to the teacher, healer, mentor, etc. roles of Chiron--that they chose you. I feel the same way. I was not looking to back a half-horse from ancient Greece. It was all very synchronistic (I believe Chiron rules synchronicity), and most of my attraction to Chironic things felt more like being drafted than signing up. Since Chiron is so connected to vocation which is one's "calling," it makes sense that there would be an inner magnetism drawing us to those Chironic activities. You've given me a new aspect of Chiron to mull over. Thanks! "Hi, joyrjw--Thanks for sharing your quiz results. The planets reflect our internal wiring, and often a Chironic person likes horses for the obvious affinity that Chiron was half-horse. (I sort of half like horses myself, LOL!) It's not a hard and fast rule, but more of a tendency. I talked about Chiron retrograde a couple of comments before yours, if you want to take a look. Welcome, and I hope you learn a lot about Chiron on The Radical Virgo. Lots of Chiron material you can look up in the search box." Thank you for answering my question. What you say about the horses makes sense. It could be chalked up to horse sense,I know ha ha. lol! What you say about Chiron in Aries Rx 28.29deg,(mine's in my 11th house conj.my SN(Taurus)and conj the 11th/10th cusp) it doesn't really seem to be that way with me. I find that I attract people who are very strong(sometimes volatile),very creative,very intelligent and very sensitive. I put the "very" in there because all of these people seem to be above average in multiple ways, to me and to others,but for one reason or another they don't seem to get beyone a certain point in there lives. I have a friend who is addicted to drugs,but she's incredibly smart and very creative,but she doesn't want to do more that survive despite my attempts convince her to "live" more. I realize that everybody has a different perspective on living and just existing,but she's not happy. I see this with many of the other people I know. So, I find it interesting. I'm trying to see how ChironRx in my chart plays out in my life. Hi, again joyrjw--We often learn most about what a planet means from its mythology. One of the most prominent parts of the Chiron myth is that Chiron was stuck in his pain from an incurable wound. He was the son of an immortal and a mortal, so he could not die. Addictions of all kinds = stuck in pain, can't move forward. Can't "really live," either! I think Chiron Rx acts to draw these "wounded healers" to you rather than your acting it out on your own. Just a hunch and as much as I can say in short comment from what you've told me and without benefit of a full chart reading on Chiron aspects, etc. Stay tuned for a second quiz on Chiron in September where you'll learn more about your resonance with Chiron's story. Thanks, again, for your participation and for being "Chiron curious!" This is just plain crazy. I scored higher on this than any other test at a 68. I'm not totally surprised since I really relate to the idea of having an incurable wound and need to help others, plus the fact that chiron is conjunct my midheaven. I guess it's a good thing that I don't count all the minor aspects or nodes because I'm pretty sure that would move it up towards 90, if not over. Insane. The Chiron myth and symbolism is such a unifying force field for me to explain certain attractions and especially work in the world. It's very Chironic to be an underdog or champion of the underdog; it's amazing Chiron isn't half dog. But that's a musing for another post, probably up next, about Chiron and the keyword horse. Stay tuned, as there will be a follow-up quiz in September that will go deeper into your resonance with Chironic symbols. Meanwhile, welcome to the top of the mountain with your high score and more opportunities to become familiar with how Chiron works for you. Hi Joyce. Thanks for the quiz. I'm always on the look-out for information regarding Chiron as my natal chart features Chiron quite prominently. Jay, thanks for joining in and way to go on the big Chiron score! There are many Chiron articles on The Radical Virgo. Just plug Chiron into the Search box in the sidebar. It has been my astro-specialty for over 20 years. Chaos, welcome to the Chiron Club. One of the advantages of the test is to help people see that Chiron may play a bigger role in their charts than they realize. Glad it worked that way for you! Donna, I'd expect you to be a high scorer! My muse said, "They shoe horses, don't they?" re: your last comment. Do I prove my case that Chiron "rules" puns? Thanks, again, for sharing the quiz link with your readers and helping bring so much lively discussion on Chiron to The Radical Virgo. Thanks for your Chiron test! I just found the link below today while doing some research and it made me look at my chart and see that it aspects 8 planets and my MC! I went to Donna's site to ask her if she was going to do a test and found the info for yours. I also had very high sun, moon, pluto and saturn scores on Donna's test. Haven't taken Neptune and Uranus yet. Thanks for stopping by with your high Chiron Quiz score! You are definitely a very Chironic person. I resonated to some of the descriptions in the link. There are many Chiron articles on The Radical Virgo, and I hope to have a book complete within a year. All these will give you my views/take on it from 22 years of study. Meanwhile, my Chiron Primer is for sale as an e-book in the sidebar, if you're interested. Stay tuned, because there will be a 2nd Chiron Quiz coming up soon that will pinpoint your "Chiron-ness" even more than this first quiz. Thanks for being part of our shared learning and the "continuing discovery" of Chiron! 1. Saw your replies referencing all of the materials on your site, which I will definitely be checking out! 2. My "OMG" moment even more than the original finding earlier today: Your comment about Chiron transits being like a Pluto transit. I've been having my "Chiron return" or transiting Chiron conjunct my natal Chiron for quite some time now: natal @ 22 Aquarius 54 in the 1st house and it has been transiting back 'n forth over it for some time. Add that to transiting Pluto conjunct Saturn and transiting Saturn square Saturn and conjunct NN and the past few years all finally made sense and it gave me goosebumps. 3. I have 3 planets in early Sag in the 10th house squaring 2 Virgos in the 7th, with Capricorn rising and Saturn in Cap in 12th. I've worked in the business world for the past 26 years but have followed astrology as a hobby since I was a teenager (am 50 now). Thought I knew a fair amount, but have had time to delve more deeply recently after getting laid off. (No more 12 hour days at the office.) And the Internet and blogs like yours and Donna's are such a wealth of information! I've been trying to figure out what I could do for the next 18 years that I would really enjoy and that would be giving back in a sense and use all of my knowledge. I've come up with going back to school for a MS in Guidance Counseling so that I can work with teenagers in HS. I had an astrologer tell me years ago that I'm a natural born counselor and I've done it my whole life ... but not as a job. The whole Chiron influence that finally crashed thru today cemented that I need to be doing something along these lines. 4. Good luck with your book!! I will definitely be buying and reading it:) If you need more fodder, I'll willingly give up my birth info. Karen, your new career path is so right-on for you! That's what Chiron did--career counseling for young men he turned into heroes, honing their talents for how they could best help themselves and the community. If you haven't already seen it, check out "Chiron and Vocation" on RV. Donna Cunningham is also reprinting it Labor Day on Sky Writer. I am puzzled. My score was only 27, I feel as if it should be much higher! using my innate art talent, & astrological, knowledge. Community service, comforting friends, have always been factors in my life And TA DA! I spent a decade painting horses,at shows & at racetracks etc.! Your Chiron score of 27 is still relatively high. I suspect the reason so many people with higher scores commented is that they're the most motivated to do so. My next quiz will test Chiron resonance. Your CQ or Chiron Quotient speaks to Chironic potential based on chart signature factors. However, just as with IQ or intelligence, it's all about how much of your Chironic potential you use ... or how much you resonate to Chiron. A person with a lower score can actually be more Chironic than the highest scorer, based on those factors. There are people with high CQs who are just not on the healer path. It remains an untapped potential. If all goes as planned, I'll post the new quiz on Sept. 17. Meanwhile, thank you for sharing ... and enjoy some of the many Chiron articles on The Radical Virgo. Welcome! Nathalie, it's so delightful to hear about your Chironic work. You live the Chiron story! Thanks for sharing your score. So glad to know you enjoy The Radical Virgo. Love the quiz on Chiron, it has opened my eyes since I haven't read anything on Chiron in ages. Despite the face that I'm an OPP and I aspire to be a PUNC, my score came to 9! What fascinated me most is that I have Chiron in the 2nd house in Aquarius (retro) inconjunct Mercury in Virgo in the 8th house. I so much want to write. I have felt drawn to healing and helping people since I was a little girl. I remember at the age of 10 writing in my diary that I wanted to help people to help themselves. Am I seeing what I think I am? Hi, Marsha! Well, write on! Mercury in the 8th has the opportunity to write on those deep "mysteries of life" subjects, not to mention healing ones. An excerpt from my Chiron e-book on Chiron in the 2nd: Talents are as much resources as money, and you can err on the side of security and comfort, sometimes at the expense of what really counts to you. That may or may not fit, but I was guided to share it. Don't worry about the lowish Chiron Quotient. You'll learn in the next quiz that resonance to Chiron may be even more important than the astrological signatures. At the expense of being shot by fellow stargazers, I'm a firm believer that we should not look only through the telescope. While it gives us expanded vision, it also distorts our vision if all we do is look through that spyglass. Uh, oh! That brought me to another interpretation of Mercury in the 8th inconjunct Chiron. 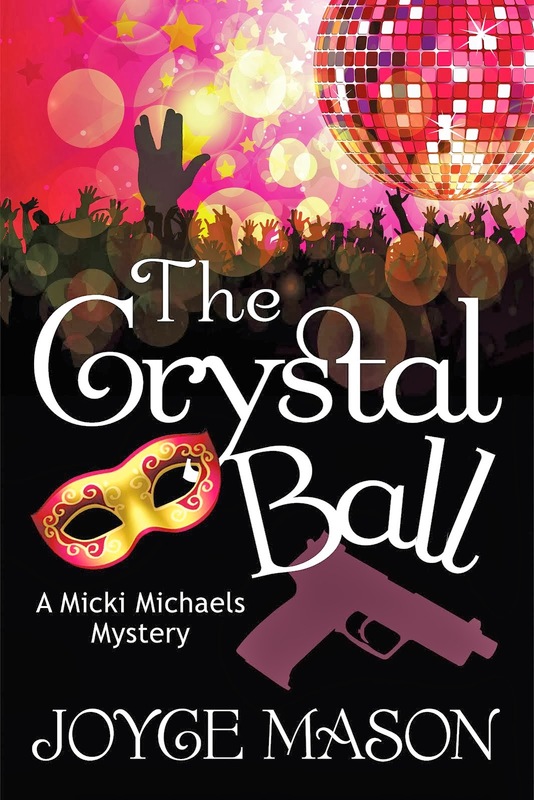 You'd make a great mystery writer on Chironic themes. Chiron's incurable wound was a type of blood poisoning, so poisons might figure prominently in your novels. There are many potentials in your Chiron configuration. While I don't have many Chiron aspects and a relatively low score (36), it is conjunct my Libra Sun and I have 7 planets in Libra, Scorpio & Sagittarius plus Virgo MC & Scorpio ASC. My Chiron score fits right in with the rest of my outer planet scores . . . high but not extremely high. Very much the well balanced Libra. Ha!! Will be checking out your next quiz too. Fun! Scored a 53 without counting minor aspects. Love horses. Love helping people too. My Chiron is conjunct Saturn in Pisces and opposite Uranus/Pluto on my Virgo midheaven. I have two planets in Libra (Sun and Moon), two planets in Scorpio (Mercury conjunct Neptune) and two planets in Sag (Venus conjunct Mars). And I scored high on Donna's Saturn, Pluto and Uranus tests. But scored low on Neptune. Thanks for the Chiron quiz. Very cool. Savannah, welcome to the High Chi Q Club. You're certainly a PUC (Plutonian, Uranian, Chironic) if not a PUNC (add Neptunian). Glad to have you here. Hi Joyce - Great Quiz! Scored a 49.I have Cap on the MC with no planets in my 10th until I discovered Chiron there in Aquarius, opposing my Mars/Ur conj in Cancer and Jup in Leo in the 4th. Also square my Taurus rising and widely square my 6th Libra Neptune in the 6th. I couldn't concentrate on my career when I was younger until I resolved some family turmoil (which still goes on today) I am a 3rd house Cancerian who is an artist and art teacher. Art is very healing activity for me, and I am told I'm a good teacher (taught kids for years) Always loved astrology and only trust alternative medicine. Had a beautiful palimino horse while growing up who was a savior of sorts for me. I'm attracted to counseling, but am such an empath with big boundary issues, I hesitated going in that direction. I do pastel portraits of animals and people that I'm told are very healing for my clients. Thanks for this post! Kim, so nice to meet you! For a Chiron in Aquarius, it's your uniqueness and quality of being ahead of your time that often comes into play in the healing arts. Boundary issues can truly be conquered with time and the right tools. There are some excellent books on the subject, and flower essences can often help you establish better boundaries to explore your full palette of healing art possibilities. Check the flower essence tab on joycemason.com or e-mail me via the website for further info. I'm a Chiron junkie and this is an amazing quiz. Kudos! My Venus, Mars, Jupiter and Pluto are also in opposition to my retrograde Chiron, square to my Saturn and trine to my Neptune. My Mercury is quincunx to my Chiron, as is my Uranus. My retrograde Chiron is in the 6th house, and possibly on the cusp, or very, very close to it. My Mercury is in Virgo. My Neptune is in Libra, and my Saturn is in Scorpio. Kat, I'm speechless at your score of 91. No wonder you're a sister "Chironoholic!" Welcome to our virtual Mt. Pelion. So glad to know you and have you with us in the Chiron Club. Hi, Diane L.! I couldn't figure out where my comment to you "disappeared" till I realized I was talking to you on Donna's blog, LOL! So glad you took the quiz and shared your chart. I think we covered more meat on Sky Writer. I think I'm seeing myself coming and going. I think that means it's time for this Chiron impersonator to call it a night. Blessings! Thank you both Joyce and Donna for making this very self-revealing study possible. This is my highest PUNC score to date with an 72. It comes as no surprise to me, since it Chiron completes a Grand Square; opposing 8th hse Leo Uranus, square 10th hse Scorpio Moon 11 hse Scorpio Jupiter conjunction and square 5th hse Taurus Mars; in addition to trine 12th hse Sun, Venus, Mercury conjunction. My 2nd Hse Aquarius Chiron is also within 10 degrees sextile my ASC, so my score may actually be 82 (I'd have to look back at the grading system, but would rather move forward). A high scoring Chiron may not be such a good thing if one does not apply the energy appropriately. Ten years ago, I knew nothing about Chiron. At that time my now deceased second husband developed a chronic liver discease (just as I discovered and became curious about its placement on my chart). Until now I have found very little satifying information on the subject. What I have found and realize after some introspection makes me realize why I have had little satisfaction and consequently not much success in the job market. I have not used its lessons, did not understand its meaning and purpose until recently. Until my Chiron return about two years ago, I had little opportunity to Mentor anyone except in raising my own children - an area that feels more like failure than anything, since I am not close to my children (I don't appreciate being used/taken for granted and/or neglected) though the desire has long been there. I've been studying astrology since 12 on my own, having little outside contact with others with like interest, and often have wanted to write seriously, but lack direction in what to write and little confidence in what I know about the process of interpreting a chart for someone. Now with my resources so low, (out of work for over a year) I have little to invest other than my time. But here I'm torn by the need to find another paycheck. In this short (so far) study of Chiron I do come away with a sense that I should do what I often wanted to do, help to develop others in developing their skillsets for the jobmarket. As you can see, Chiron is the key in making my challenges work for me as well as others. In this economy, there has to be an opportunity for me to use my unique abilities, acquired by trial by fire, to help others find a way to make their unique talents and abilities work for them. Please provide some insight here, as I do lack some confidence still in how best to apply this energy. I think my direction is on point, but need to know where to go to develop my ideas and abilities. Joyce, I must say that your story has proved to be an inspiration, working for others and writing and practicing astrology - I may yet be able to apply some of this as long as I find a market. Hello, Batia, and welcome to the High Chi-Q Club! What strikes me most in your Comment is an intuition that the journey itself to discovering your Chiron is, in essence, your own personal mentor. The fixity of the Grand Cross presents a challenge of not easily breaking out of patterns. I take it you have Chiron in Aquarius. Your uniqueness will play a role in finding "where you fit." You might want to read an article on my other blog called Your Cosmic Tractor Beam. It speaks to how we draw can other people to us who are on the same wavelength. I think a great deal of your discovery of Chiron involves trusting the process and gaining self-confidence by figuring out much as much as possible about Chiron's role in your life rather than relying solely on "book learning" or others' interpretations. Of course, that doesn't mean to leave aside what's written as inspiration or perhaps a personal reading. There are many Chiron articles on this blog and several good books on the subject. Hi Joyce, just at the time of the Virgo New Moon I found this test to find that I scored 53 - if I include the opposition to the north node - and I feel I want to do that, as I find the nodes so important. So that is pretty high - even if it's much much less than many here! It is also interesting that Barbara Hand Clow in her reading for this new moon encourages her readers to ask ourselves "What is my path"? Thank you for providing many important insights - also reading everyone's comments has been very beneficial! Anna, so glad you've found both the quiz and comments helpful. From your comment, you sound destined for one of those Chironic, eclectic vocational paths that ties several healing modalities together. Been there, do that! Hope we'll see you here often. Thanks for participating. Joyce, thank you for this test. I scored 36. Have never really explored Chiron until TODAY; found your site via Big Sky Astrology on Facebook. I had to dig through my various natal charts (which I haven't looked at in YEARS -- why now?) to even FIND one which included aspects to Chiron. Luckily there WAS one, drawn up for me in the early 1990s. I haven't taken the other outer planets tests yet but I suspect that I'm very saturnian with 1˚ opposition saturn/moon, with trines to mercury, venus and jupiter. "I made you look!" Only in this case, I think it was a good look and find on your Chiron. It is amazing how "when we're ready, the teacher comes." I associate Chiron with synchronicity, and you've surely been having a ton of that around getting to my site and the Chiron discussion (I love April and Big Sky.) Chiron was a teacher and mentor of heroes; in discovering him in your chart, I know he'll work the same magic he did on Mt. Pelion and help you become your best You. Well, as I'm sure most of you probably figured out, 90 was a WAY high score. Although I FEEL totally Chirotic most of the time (or...is that, psychotic? lol), my Chiron score is not actually that high. I was so exited after finding this site yesterday, that I didn't read the instructions well enough (Mercury Retro! ), and realized that I was going by the aspects, rather than by the degrees and orbs. And after re-reading YOUR instructions, as well as Donna's and going over some of the comments, I've got a better idea of how these scores are being calculated and what's being considered. So, I'm obviously more Neptunian than anything, but I am still quite magnetized by Chiron. Thanks for all the work you've done on this. I'm really impressed! I only scored a 36 but I'm an example of someone who's following their Chironic path well. My 9th house Aquarius Chiron is less than 2 degrees from my M.C. and nicely Trines Mars / ASC., Sextiles my Sun and Saturn, etc. My Scorpio Neptune in the 6th opposes my Moon / Mercury in the 11th. Uranus in my 3rd house helps to add more boldness in my approach to things. I had a really rough childhood (Leo Pluto in the 4th) and use my experience as an example to my clients, that if I can heal from the abuse: ANYONE can. I'm a Spiritual Counselor and have an intense desire to write. I want to write about how we can diagnose eating disorders, mental illness, etc. by adding the asteroids into our charts. Thanks so much for this great test. It has encouraged me that I'm on the right path. I did think that score was a bit on the high side. Maybe your Leo planets couldn't help themselves and rushed out to grab some spotlight, LOL! Seriously, if not Mercury Rx, being Neptunian can certainly cloud the tidy arithmetic some Virgos love. The thing that impresses me is that so many people are breaking down the door to join the Centaur Club. Just shows me how vital and relevant this archetype is to people in today's world and makes me recommit to sharing what I've learned about it. Thanks for your great sense of humor and for being a part of this "class in the Comments." So many wonderful people resonate to Chiron! Thanks for illustrating the point that it's not high your CQ is, but rather how much of your Chiron Quotient you use. I'm delighted to know the test and post have inspired you. up to this point, total = 67. Wow, this explains alot about why Chiron fascinates me. I had no idea I was so Chironic, but felt it. I am not a tattoo kinda girl, but I have had the urge to get the chiron key tattooed onto my wrist for over a year now. Chiron is right on my DC in the 6th house and I am always wondering if I am on the right path, esp with a stellium of all my personal planets (Sun, Moon, venus, mars, merc) on the midheaven. My job is in social work, but I have a a Masters in counseling. Social work is a good fit, more than the therapy aspect, which really surprised me. The gift in the wound you'd written about resonates with me also. My wound was growing up with a father who was mentally ill, which I did not realize fully how mentally ill he was, until I studied for my Masters in midlife. The gift I appreciate is my ability to feel familiar and empathize with clients I work with. I would love to understand more about Chiron, exp the 6th house, MC connection! P.S. FWIW, both my children have Virgo moons! Jane, thanks for your wonderful, detailed comment and for showing us how Chiron has worked in your life and career. What a gift to turn the wound of your father's mental illness into empathy as a therapist. Send me a pic when you do your Chiron tatoo! There are many articles on Chiron on this blog, and I hope you'll be back to learn more with us. On that note, I am closing the comments on this post, something I've never had to do before for sheer volume. The discussion has been glorious, but in order for me to have the time and energy to finish the next quiz for mid-month, I'll have to save some juice! :) With 50 people commenting and over 100 exchanges, I look forward to catching my breath till to the next Chiron class!